[Transcript] – Ketosis Dangers: How To Maximize the Nutrient Density of a Low Carb Diet. Ben: Hey, folks. Welcome to this special episode of The Ben Greenfield Fitness Podcast in which we’re going to talk about ketosis dangers and how to maximize the nutrient density of a low carb, high fat diet. Now, I don’t think it’s any secret that I often have this giant fat-filled ketogenic kale shake for breakfast. And sometimes it’s not just for breakfast, but actually multiple times during the day. Especially on busy days. There’s even been occasional days where I’ve had my special ketogenic kale shake for breakfast, lunch, and dinner. Now I’m about to give you the recipe for that shake, but I’ll also put the recipe over in the show notes for this episode, which you can find at bengreenfieldfitness.com/282. Now you’ll need a powerful blender for this one. I use one called an Omniblender. And you take a couple large handfuls of kale, preferably dinosaur kale, that’s been lightly steamed to get rid of some of the oxalic acid, and then drain. And then you toss the kale in the blender. And then you add a bunch of things that are going to turn this into the most nutrient-dense shake you’ve ever had. You add a handful of raw almonds, three to five raw Brazil nuts, preferably ones that you’ve purchased in the shell so they don’t get too moldy, a half to a full avocado, a teaspoon of cinnamon, which will help you regulate blood sugar, one to two tablespoons of a good dark chocolate powder, and then about four to six ounces of full fat coconut milk, preferably the BPA-free variety. I’ll put links to some of my favorites over on the show notes. Now I’ll often add in a handful of fresh herbs, like cilantro, or parsley, or mint. And those are fantastic for cleansing the gut and the liver too. So you put all that in the blender, and then you push blend. Now after about 60 seconds of pulverizing, you then stir in some of the things that you don’t necessarily want to pulverize, but that are going to help out with the smoothie. You stir in one to two heaping scoops of a good grass-fed, cold processed whey protein powder, preferably from an organic source, or a vegan protein powder, like pea, or a rice, or a hemp protein blend. And then for a bit of added texture, and yes, I like to chew my smoothies so I get better nutrient absorption, you can add a handful of unsweetened coconut flakes and about a tablespoon or two of organic cacao nibs. And I actually sprinkle just a little bit of Aztecan sea salt on top of my smoothie when I finish it. Now this may sound like a lot, but I’ve memorized the recipe after making it for a few weeks and can literally bang this bad boy out in about five, six minutes flat. And I literally have it for breakfast every morning. It tastes magical. And this recipe has never ripped me out of ketosis, despite it being a good 800 to 1,000 calories if you make a big one. I’ll link over in the show notes to a video of me walking you through this smoothie and the full recipe that I just outlined. And again, you can grab those over at bengreenfieldfitness.com/282. Now that shake is certainly a good example of a high fat, low carb meal that keeps you in ketosis. But perhaps more importantly, it’s also really, really nutrient dense. And that’s a characteristic of low carb, high fat ketogenic meals that’s kind of lost in an era of just guzzling MCT oil or consuming insane amounts of heavy cream and butter. Now lack of nutrient density is just one serious danger of ketosis. And my guest on today’s podcast, who I’ll introduce in just a second, is going to explain why that is, tell you the best way to achieve ketosis, why you might want to do so in the first place, and also give you the best nutrient dense foods and meals that you must include on a ketogenic diet if you truly want to optimize your vitamins, your minerals, your nutrients, your micronutrients, and not put yourself into some kind of a hormonal imbalance. Now before we jump into the interview with my guest, who again I’ll introduce in detail in just a moment, I want to give you a few special announcements. First of all we have a new fasted, fat burning, ketogenic nutrition expert available for consulting. He’s over at Pacific Elite Fitness. He’s been on the podcast before. His name is Barry Murray. Now this is the guy who specializes in fasting, endurance exercise, low carb, high fat protocols, and ketosis. And you can hire him for coaching or for consulting by going to pacificfit.net and clicking on “Coaching”, or you can just go to the show notes where I’ll put a link over to Barry’s page on that website. You can hire him to work with you on the phone or on a month to month basis for nutrition coaching. And it’s right up the alley of the stuff we’re going to talk about today. The other thing I wanted to mention to you is that we released a premium podcast episode last Sunday, if you’re listening to this episode at the time that the podcast is released. Now the title of that episode was “Insider Pro Athlete Nutrition Consult with Ben Greenfield”. And in that episode you get to sit in and hear me personally analyze, go through, and break down the diet of a professional Spartan athlete who I work with. Now accessing all the premium episodes, and there’s over 300 special hidden episodes of Ben Greenfield Fitness that you can get, that’s all available over at bengreenfieldfitness.com/premium and it’s $9.99 for an entire year of premium access. You don’t have to have the phone app or anything like that, you can access it from your computer, iTunes, wherever. Just as you would normally access this free podcast. So check that out over at bengreenfieldfitness.com/premium. I’ll have links to everything that I just talked about over at bengreenfieldfitness.com/282. And now let’s jump in and learn how to maximize the nutrient density of a ketogenic diet. Ben: Hey, folks. It’s Ben Greenfield. And as promised, my guest today is going to fill us in on everything that we need to know about maximizing the nutrient density of a ketogenic diet. But she also has a really unique story. Her name is Dr. Terry Wahls. And Terry is a board-certified internal medicine physician and clinical professor of medicine at the University of Iowa. And she teaches internal medicine residents there and their primary care at the care clinic, she sees patients in a traumatic brain injury clinic, and she conducts clinical trials. But she herself is also a patient with a chronic progressive neurological disorder, which is secondary progressive multiple sclerosis. And that confined her to a wheelchair for four years. Now during that time, Dr. Wahls did not give up and she has an incredible story that if you really want to delve into the full details of, I’m going to link over to her new book as well as her TEDx talk, which is simply amazing. She gave a TEDx talk you may have seen called “Minding Your Mitochondria”. Now Dr. Wahls delved into the medical literature looking into answers about what drove disability in the setting of MS, and she delved into the latest research on autoimmune disease, brain biology, vitamins, minerals, antioxidants, essential fatty acids, and she really focused on trying to fix this with food rather than pills and supplements. She eventually adopted a really nutrient rich version of the Paleo diet, and then she gradually refined and integrated that into a regimen of rich and nourishing foods, and she even has some interesting things she talks about in her book like neuromuscular electrical stimulation and also her spin on a ketogenic diet that you’re going to discover in this podcast, and amazingly she healed herself, she’s biking 18 miles. I actually see her at conferences and she’s up and around and just killing it. So Dr. Wahls, thank you so much for coming on the call today. Dr. Wahls: Oh, I’m thrilled to be here. Ben: Now, I guess we can just take the deep dive and jump right in. Why or how did you turn to ketosis as one of the dietary strategies that you used? Dr. Wahls: Well, I get turned on to reading the literature, the basic science, and I have been reading about ketosis as a way to treat epilepsy and that there are sample studies that ketosis diets, or ketogenic diets for our other brain disorders, like Lou Gehrig’s or ALS, Parkinson’s disease, dementia, bipolar, schizophrenia, and I certainly saw that ketosis is very beneficial for brain cells, simulating the signals to repair the brain, build new connections, and repair myelin, which are very, very good things to do. What had bothered me was that the diets that were described, as I looked at them and measured them up against the 31 nutrients that my reading of the science had said were critical to brain cell biology, the ketogenic diets were not delivering that. And it’s like, “Well, that would be helpful, but you would get into long term problems if you aren’t nutrient rich.” And so then I started, because I like experimenting on myself, I started experimenting to see if I could create a diet that would put me in ketosis, but it would still have more than enough of those 31 nutrients. So that took to me six months of tinkering with why food rules, with my diet choices, and then verifying that with nutrition recalls that my research, registered dietitian would run on my diet to see, “Okay, did that menu deliver the 31 nutrients?” “Well, no.” So we have to do a little more tinkering. And finally we got a plan that was consistently putting me in ketosis, and consistently hitting and exceeding the requirements I had laid out for those 31 key nutrients. And that’s what we wrote about in the book. Ben: Now in terms of why ketones would have actually helped you, why the production of burning fats and generating ketones would have helped you, what’s the actual science behind that? Like what’s going on in your brain when you’re accessing ketones versus glucose? Dr. Wahls: If you’re accessing glucose, insulin is part of the equation. And so you’re going to have insulin in the brain and in the body to manage that glucose. Insulin in the brain competes with the enzymes that clear out the neurofibrillary tangles that are part of Alzheimer’s and other dementing processes. So that’s a very important connection that’s really been discovered just in the last few years. So one big benefit is by burning fat, you don’t need near the amount of insulin. So your enzymes that are keeping your brain clear of trash are able to do that more efficiently. So that’s benefit number one. Benefit number two, the ketones increase the generation of nerve growth factors. And there are similar growth factors, but your growth factor, brain derived neurotropic factor, glial cell growth factor. And these hormones in the brain signal to the brain cells to do more nurturing and repair of myelin, for MS. And many diseases is being damaged. And the nerve growth hormones also initiate more connections, connectivity between brain cells. So as we mature, you want to be doing things to stimulate nerve growth factors so your brain isn’t shrinking and losing connections. Because when you shrink and lose connections, our cognitive skill, social skill declines. So that’s really a very, very big deal. Dr. Wahls: Outside the brain, it’s doing very good things. One of which, everyday you and I make a bunch of cancer cells that our immune cells have to go find, kill, and get rid of. Ben: Really? That happens everyday? Dr. Wahls: Every day. Everyday, we are making cancer cells as part of the aging process. And if you have a high level of blood sugar, and a high insulin level, and insulin-like growth hormone, those two hormones will also stimulate the growth of cancer cells, and cancer cells are particularly metabolically dependent on sugar. Our other cells in our body that are healthy are metabolically flexible and could burn either amino acids, or more easily, fat bodies or ketone bodies. And so by being at least in ketosis intermittently, or low-level ketosis constantly, you are making it easy for your body to starve and kill those cancer cells that occur as part of our aging process. Ben: Got it. Now you also hear about ketones being used preferably by, for example, the diaphragm or cardiovascular tissue as a preferred fuel. When you were doing your research on ketosis, did you find some of those potential biohacks, for lack of a better word, for endurance or performance? Dr. Wahls: I was not reading into the athletic performance. I was focusing my reading primarily on brain physiology. I got intrigued by the cancer physiology, so I’ve read some of that as well. I’m not as well-versed for athletic performance. Having said that though, now I’m being contacted by athletes who have discovered my protocol and have contacted me, saying that following any of those three levels has improved their athletic performance. Ben: When you say any of the three levels, you mean kind of like the three steps of the Wahls protocol that you lay out in your book? Ben: Now you talk about in your book how back in the 1920s, when ketogenic diets were first discovered and used in epilepsy patients, how they were basically a bunch of fat, a little bit of protein, and pretty much zero carbs. But there was kind of a branch off from that form of ketosis that occurred, I think it was in the ’70s, that incorporated some other forms of fats. Dr. Wahls: The scientists made the observation that medium chain triglycerides will generate more ketones per gram of fat than any other fat. That allows the person to have the benefits of ketosis and still have the carbohydrates that provide the antioxidants, the vitamin C, and vitamin K that is tough to get from non-plant, non-carbohydrate sources. Ben: Got it. So we’ve basically got a diet that initially was pretty much zero carbohydrates to a diet that could include some carbohydrates with MCT Oil. But I get the feeling, when I look through your version of the ketogenic diet, that you’ve kind of taken it to a level that goes above just restricting carbohydrates and guzzling MCT oil. Can you go into, I guess before you lay out the nutrient density component, what are some of the deficits that you tend to see people experiencing when they just kind of use the traditional ketogenic diet? Dr. Wahls: So the traditional ketogenic diets, I see a lot of butter being used, which will have vitamin A. It’s going to have some vitamin K. If you have grass-fed butter, that would be good. If they have a lot of liver, you’re going to get your B vitamins. But the wholes you’re going to have are vitamin K and all of the antioxidants. And these antioxidants and sulfur compounds in the [0:17:39] ______ family induce enzymes in the brain that help us make neurotransmitters, help us manage oxidative stress, and are very protective against cognitive decline. These same compounds work in your liver and kidneys to increase the efficiency in the removal of toxins, these same compounds shift our genes from pro, or increasing inflammation to turning on genes that lower inflammation. Ben: Now this seems really interesting to me, because a lot of times people will restrict sugar, starches, and carbohydrates to avoid some of the inflammation that occurs. But what could happen, it sounds like, is that by doing so may somehow not get enough antioxidants and could end up inflamed from an entirely different reason. Dr. Wahls: Through a different pathway. And again, I’m trying to think ancestrally who’s been in ketosis, and how much of their time within ketosis, and how did they do that. So most of our Northern European ancestors, people outside of the tropics, would have been in ketosis every winter and probably eating fats, some stored vegetables if they were in the agricultural time period. And if they were the hunter-gatherers, just a lot of protein and perhaps some fermented foods. And then during the summer, they’d be back out of ketosis, having more carbs. Although not lots of carbs, probably still in that 60 to 150 grams of carbs. The Inuit, that you are 90% fat because they have fermented animal products basically 10 months out of the year. And two months out of the year, they’ll have some seasonal plant material. Ben: What’s a fermented animal product? Dr. Wahls: And actually, I’ve had some of these. They ferment cod liver, they ferment seal blubber, they ferment seal flippers. If you do it wrong, you get botulism poisoning and you die. And it tastes super rich cheese. It smells really awful. But that’s a big delicacy. And because they have so many organ meats and they are fermented and they are raw, they’re getting their vitamin C and they’re getting plenty of antioxidants. Ben: So they avoid a lot of the hormonal issues that would occur from ketosis and the absence of carbohydrates, for example, that we tend to experience in like a typical ketotic diet without organ meats. Dr. Wahls: Correct. So they’re having the meats raw, they’re fermented, and they have, probably 25% of protein is in the organ meat category. Now that’s not all liver, by means. So their food stuffs, it’s still really quite different from the food stuffs that John Hopkins uses. They put people on a lot of butter, cream, 90% fat diet. Very tough to socialize, very tough to have any kind of food consumption in a social circumstance. And it’s not nutritionally complete, so they have to do a lot of supplements. So if you do your ketogenic diet, you’ll get benefit from ketosis. People will probably have a lot of health benefits the first two years. But if you’re not fully nutritionally providing all the vitamins, minerals, antioxidants, the chemistry that you’re doing will eventually run afoul as you run out of your stores of these nutrients. You begin to not feel well, but of course you won’t attribute it to your diet because you knew that for the first two years you felt great. And that’s exactly what I see in the raw vegans. They feel great the first year or two because they’re detoxing, ’cause they have all of these vegetables that are ramping up their enzymes for detox. In fact, they switched over to organic probably a lot of favorable lifestyle things. So they’re feeling like they found the perfect answer. And then the third and to fifth year, they will run out of their B12 and begin to have neurodegeneration and have fatigue, pain, not feeling well. But it’s very hard for them to attribute it to their diet because the first few years it felt so incredibly healthful to them. Ben: Yeah. That makes sense. Now in terms of eating some of these ancestral means, everything you just said makes sense and I think that someone who is in a state of ketosis and listening in may already even be aware that things like liver, for example, are actually good for them, and some of these ancestral meats, Braunschweiger, head cheese, things like that are actually going to help out. But one of the things that you talk about in the book are antioxidants, which you kind of touched on already, but antioxidants from plant foods. And I think that a lot of people are under the impression that plant foods somehow rip you out of ketosis. Can you go into how people can get antioxidants from vegetables or other plant sources, and how they can do that while staying in ketosis? Dr. Wahls: So the key thing, at least in my program, is you’re going to have medium chain triglycerides at every eating occasion. And you’re going to choose low glycemic index and low glycemic load foods. So green leaves, three cups of green leaves with some bacon, that’s not going to take you out of ketosis. Not a problem. Broccoli isn’t going to take you out. And we found that you can have some grated raw carrots, grated raw beets on your salad. Great sources of antioxidants. But because they’re raw, you can’t absorb a lot of the glucose out. But if you have some oil on that salad, you’re going to be able to absorb the antioxidants from those carrots and beets. Dr. Wahls: I give people instructions on how to titrate their amount of non-starchy vegetables and a few berries with their level of medium chain triglycerides that they have used through full-fat coconut milk, coconut oil, or you can just get MCT oil and use that. And everyone’s metabolism’s going to be a little different, a little unique. You may be able to tolerate a higher level of carbs than I can. Or maybe I can tolerate a slightly higher level of carbs than you can. Ben: How do you know? How do you test whether or not you’re in ketosis? Dr. Wahls: So for the first six months, I did blood ketones and urine ketones. And after six months, so what you typically will see, and I discuss this in the book, when you first go into ketosis, your urine will spill the ketones and you can see it very conveniently on a urine dipstick. If you’re measuring your blood ketones, you’ll see that you’ve transitioned into active ketosis. You stay at that same diet pattern, same [0:25:22] _____ pattern, but your kidneys, after three months, will have adapted and they will spill fewer ketones. So for the same blood ketone level, let’s say at 1.5 to 2, instead of having a large ketones after three to six months, I will have small to trace ketones. Ben: Now is that simply because your body is utilizing those ketones more efficiently? Dr. Wahls: No. I think it’s because your kidneys are doing a better job of recycling them. Dr. Wahls: And so after three months to six months, you could just follow your urine ketones. Or you could decide that I’m just going to follow my urine ketones from the beginning and realize in the first three months, it’s easier to get a little higher ketones. But then it’ll come back down and to not be stressed over the fact. You know, we’ll see small, tract ketones. I’m not getting those large ketones anymore. And I tell people you can be satisfied with that. We only need to be showing some ketones just to know we aren’t burning sugar. Ben: Gotcha. Have you ever used the breath ketone meters, by the way? Dr. Wahls: I did not. Because the breath ketone meters, somewhat will tell you, I think the level’s 1.2. I wanted to see how high you could get. So I was having ketones ranging from 1.2 to 6 when I was doing blood ketones. Ben: Gotcha. Yeah. The breath ketones will just tell you whether you’re in ketosis or not in ketosis. They don’t actually quantify the level of it. Dr. Wahls: The other thing is, I’m a researcher and so on, I’m trying to figure out which blood ketone meter we’re going to use for our study and how much information we’d get, so I stuck my figure everyday for six months. Ben: Got it. Okay. So in the Wahls Protocol, you actually say we can get away with about six cups of vegetables per day, but you’re just recommending that we include something like coconut milk or MCT oil every time that we eat those type of nutrient-rich vegetables. Dr. Wahls: Correct. There are a variety of ways of doing it. You can make these lovely coconut curry sauces. I do that for some meals. Sometimes I have a few berries, and then I have coconut milk over the berries. That’s incredibly yummy. Ben: So you’re doing fruit too? Because that’s another thing that people totally shy away from on a ketogenic diet. How much fruit are you eating and how are you doing that? Dr. Wahls: One cup or less, depending on the fruit. So a cup of cranberries will be perfectly fine. A cup of aronia berries, ’cause these are very, very tart. That’ll be fine. Ben: Okay. So tart, not sweet? Dr. Wahls: Tart, not sweet. And the other thing to do is you follow your ketones. So that will tell you. I have fresh berries in my house year round. So my strawberries and raspberries come in. I’ll have a cup of berries. Sometimes they’re so yummy, I decide to have a second cup. If I have two cups, I’ll be out of ketosis. And the other thing I’ve decided is it’s okay to be out of ketosis a day or two and not get freaked out about that if the reason I’m out is because I ate incredibly nutrient dense foods for my antioxidants. I never going to do binge on fruit, but I encourage people to be a little bit flexible that all of the societies that we followed are not in ketosis 365 days a year, that they do have sometimes when they are in glucose. In my book, I tell people it’s okay to be intermittently in ketosis. It’s okay to be in low-level ketosis all the time. Ben: Would that be even in the case of something like MS, or epileptic seizures, or something along those lines? Is it still okay to go in and out? Dr. Wahls: Scientifically, we don’t know the answer. I will tell you this very interesting paper I’ve looked at for epilepsy, which is the disease that has the most ketogenic research on it is the epileptic state. And there was a comparison of a low glycemic index diet versus a ketogenic diet, and they got equivalent results. And I thought that was very, very interesting. So ketosis clearly has benefits. I’m studying ketosis versus the Wahls diet versus usual care, and both those diets are very helpful. And it’ll be very interesting to see how much larger the benefit is for the ketogenic diet. My perception is, at least for me personally, ketosis, I can tell that I feel better in ketosis than not. But it’s moderately better, it’s not dramatically better. I’m just very, very curious to see how our study population does. Will we see a difference between these two diets? We certainly can tell from our subject’s perspective the ketogenic diet is much harder for people to adapt and sustain successfully. The Wahls diet is much easier. And so it will be applicable for some people who are going to be quite willing and ready to go to the ketogenic diet. But others may find it socially easier to get their whole family on board with the Wahls diet, and that’s what they do, or the Wahls paleo diet. Dr. Wahls: You have a variety of levels. Ben: Now in terms of kind of a day in the life of nutrient-dense eating for ketosis, I want to get into some of your kind of basic breakfasts, lunches, dinners, et cetera. But before that, I have one other question for you when we’re talking about this whole issue of measuring and intermittent ketosis. You obviously measure ketones via your urine or via your blood, but do you kind of keep your finger on the pulse of other things? Do you look at your thyroid, or any of your hormones, or anything else to kind of see if you’re doing okay? Like you do like spectra cell micronutrient analysis or any of these fancy tests to kind of make sure that you’re covering your bases? Dr. Wahls: So in our clinical trials, we do a Genova Diagnostic NutrEval so I really understand how well the mitochondria are working, how well the chemistry’s working for the processing of energy, and the Krebs cycle for making neurotransmitters, for making cell membranes. We’ve got that detail. We see how that changes over the duration of the study. Ben: Yeah, their ION profile. What about thyroid panel or anything like that? Do you ever notice issues? Dr. Wahls: I don’t do the thyroid panel. I’m not including hormones. I do toxicology, so you know how poisoned everyone is. And the answer is everyone is. In my clinical practice where I see people with traumatic brain injury and lots and lots of metal whole stuff. And evidence of hormonal dysregulation probably related to toxin exposure. Then I also see people in what we call the therapeutic lifestyle clinic where people can come who are willing to use diet and lifestyle to tackle their health issues. And we’re seeing lots of, of course, obesity, people with autoimmune conditions, and many with several autoimmune conditions. And we use diet and lifestyle, I do not get any of those fancy nutrition evaluations that I can do in my clinical trials. So I just do basic conventional medicine-type labs, diet and lifestyle, and we put people based on the Wahls diet, then we get them on the paleo diet. And some people we get into ketosis, but not everyone. Ben: What was the name of that toxicology test that you run on people to see if they’re toxic or not? Dr. Wahls: Right. A 24-hour urine for heavy metals. Ben: Okay. That’s something that folks could run through their local naturopathic physician or something like that? Ben: And you find that almost everybody is toxic, huh? Dr. Wahls: Oh, everyone’s toxic. And that makes sense. We have multiple research papers that are out that show our children that are being born right now have over 200 synthetic chemicals in them, heavy metals, plastic solids, fragrances that are there at birth before they start interacting with our environment, which has chemicals in the indoor space, in the outdoor space, in our food and water, and it [0:34:46] ______ in your diet. You either have everything you need to process and eliminate those, or you destroy them in your fat. Ben: And that’s where shifting to something like this Wahls Paleo Plus protocol or a ketogenic protocol that’s nutrient dense would actually help? Dr. Wahls: So all three of my levels were designed to be able to support detoxification. Ben: Do you recommend that people, because we don’t delve into it too much or haven’t so far, but you’ve got kind of three levels. Can you give us a brief outline of those three levels? And kind of as a follow up, whether people should start with the first two levels before jumping into that third nutrient dense ketogenic level. Dr. Wahls: So you have three levels. The first level stresses the nine cups of vegetables, greens, sulfur rich, and color. And those three, the greens, color, sulfur, ramp up enzymes in your brain to do many protective things. And they ramp up enzymes in your liver and kidneys to process and eliminate the toxins. So that’s step one. And people often have a detox reaction the first week, with more headaches, more malaise, body aches. They may have acne as the bromine’s coming out through to the skin. Usually by week two, the headaches are less, the body aches are less, and they’re beginning to have more energy. When they are ready, we get them into the Wahls Paleo, which is going to add seaweed. And the seaweed adds more iodine and selenium, which is very important for the processing of lead, mercury, and arsenic. Then the next level is ketosis. I’ve warned people if they go into ketosis too quickly, they’re going to have nausea and vomiting that could last for several days to several weeks. So we’ve learned to stress, do the Wahls diet for a couple weeks, do the paleo diet for a couple weeks, ease into increasing the fat over a couple weeks, and then go into ketosis. If you go into ketosis at first, the very first thing that you try, you’ll probably have trouble with nausea and you may have trouble with vomiting. Ben: Let’s delve into the good stuff: what you can eat, some of these delicious recipes. Can you walk us through a sample day of eating a ketogenic diet that also contains good nutrient density? Dr. Wahls: Okay. So in the morning, we had liver today. So you can make liver, onions, and coconut oil to make a nice liver pâté. The liver pate is going to have a tremendous source of the B vitamin family, vitamin A, vitamin D, and essential fats. Ben: And for people who are already scoffing, hearing liver pâté for breakfast, it’s about as hard to make as it is to make a smoothie. Like it’s not that hard to make liver pâté? Dr. Wahls: I make liver and onions. So we’ll start with supper, and then we’ll talk how that happens the next morning. So tonight we had liver and onions, and the liver and onions were sauteed probably in four to five tablespoons of coconut oil, a strip or two of bacon, and big onion, and a couple of garlic, and a point of liver. Ben: So lots of those sulfur-rich antioxidants and fat-soluble vitamins. Dr. Wahls: Exactly. So that was the meat source. That was my sulfur vegetable source. Then I had fermented cabbage. So that’s my greens. And that’s what I ate for supper. I had tea. So I had the chamomile tea with, and actually it’s sort of coconut milk flavored tea. So I have lots of coconut milk and some tea. So in my mug, I’ve got a big mug, I probably have 3/4ths cup of full-fat coconut milk in that, then I have my chamomile tea with that. So that’s my evening supper. So have probably about a quarter pound of liver. My spouse had a quarter pound of liver. So about a half pound of liver left. I put that in my food processor with more coconut oil and then blend that to the consistency of a pudding. And if it’s feeling too thick, I just add some water to get it to pudding consistency. Then I put that in the refrigerator. Now tomorrow morning, I’ll have coconut milk, and I might add some greens to that, like dandelion greens. It’ll be like putting dandelion greens. But I will rotate the greens so I don’t have the same greens everyday. Ben: Dandelion greens are a great detox. We actually talked about that on the recent podcast. They’re chock full of nutrients. Dr. Wahls: And I’ll make the observation for the listeners that we use agricultural foods. And all the foods that are starchy have been bred to have much higher carbohydrate content. Our ancestors had greens that were pretty bitter. So our green leaves and spices are still very nutrient dense. Berries have become sweeter. So the really tart berries are nutrient dense. The sweeter berries, less so. But they still have very good antioxidants. The starchy vegetables, if you’re going to have them, you have to have them raw. It’s going to be pretty tough to have those cooked. But if you eat vegetables out of the cabbage family, onion family, mushroom family, and get some color like red cabbage, red peppers, and raw carrots, a few berries. You can get your colors that way. So for breakfast, I’ll have the dandelion greens and a coconut milk smoothie. I’ll have my pâté. And I might have that on a turnip slice, on celery sticks, or I’ll take a kale or colored leaf and spread my liver pâté on that. And then I’ll put guacamole or coconut slices on that, and I’ll roll it up, and that’s going to be my breakfast. So my breakfast is coconut milk smoothie of some type, usually green. But I might have some aronia berries or cranberries in there for a fruit smoothie. But it’ll just be a few berries in there to make that. And then I’ll have meat, and I’ll have a raw vegetable with that, usually in the sulfur-rich family. Ben: Got it. Sounds delicious. Ben: I know. I was curious if you were going to list another meal or not. I was waiting. So it’s just two meals a day. And that’s it. Dr. Wahls: And it’s very comfortable once you’re in ketosis. Ben: Oh, yeah. I’ve gone out and done monster bike rides in ketosis. We’ve actually had Dr. Peter Attia on show who has done long periods of fasting and gone out and ridden six hour sufferfests in ketosis. So it’s certainly doable. I don’t know about you, but I’ve found that the longer that you’re in ketosis, the easier it is. And really, for most people, I don’t see them experience a ton of benefit until they’re a good six plus months in. Dr. Wahls: The longer you’re in, I’d say the easier, the more comfortable it is, the better it feels. And if you occasionally slip out cause you’ve had a few more carbs and you’re checking your urine, it’s like, “Oh. It’s zero ketones.” So then you adjust your choices, fewer carbs and more MCT oil, and then you can get back in the next day. And that’s fine. I certainly encourage people to do daily checkups, either the breath meter, blood meter, or urine meter. And in six months, it was easier to do urine for me. Ben: You have a ton of other recipes in here, from your seafood stew, to your turmeric tea, to your special twist on bone broth. I mean it goes on and on. And folks can get the book called “The Wahls Protocol”, I’ll put a link to it over at bengreenfieldfitness.com/282 along with your TED talk. I wish we had time to go into all this other stuff. You talk about exercise and electricity, and how you use electro stim, and basics of autoimmunity, and drugs, supplements, alternative medicine, stress management. It’s a really good book. I’m impressed. Dr. Wahls: What we’re doing, Ben, is physicians are so focused on using drugs to treat symptoms, but they know nothing about what I call “creating the healthy phenotype”. Because it’s diet and lifestyle that speaks to our genes, turning genes on and off, all and create the inflamed sickly disease phenotype. And unless we teach patients that we have to recreate the healthy phenotype by addressing those diet and lifestyle choices, diseases will simply continue marching on. Ben: Well in the introduction to this podcast, I told folks that I actually have what I call a ketogenic kale shake every morning, and I love it. It’s literally my breakfast every single day. And I’ve got a ton more recipes now that I’ve got your book. And I think that this will be really helpful for people to know that they can have vegetables, and fruits, and things like that on a ketogenic diet. You just got to time them and structure them in the right way. Include the organ meats, include the fats with the vegetables and fruits, and you’re on the right path. So I’ll put links to everything that we talked about over at bengreenfieldfitness.com/282. And again Dr. Wahls’ book is called “The Wahls Protocol”. Her TEDx video is really cool. You should go watch that too. And Dr. Wahls, thanks so much for coming on the call today. Dr. Wahls: You’re welcome. Let me also add my website, terrywahls.com. I’m on Twitter, @terrywahls, and on Facebook, Terry Wahls, MD. Ben: Perfect. Cool. Well, thanks so much. Until next time, for everybody listening in, this is Ben Greenfield and Dr. Terry Wahls signing out from bengreenfieldfitness.com. Have a fantastic day. …and sometimes not just for breakfast, but multiple times during the day, especially on busy days. Heck, there’s been occasional days where I have had a shake for breakfast, lunch and dinner. You’ll need a powerful blender for this one. Take a couple large handfuls of kale (preferably dinosaur kale that’s been lightly steamed and drained), and toss the kale into the blender. Then add a handful of raw almonds, 3-5 raw brazil nuts (purchased in the shell, like this), 1/2-1 avocado, a teaspoon cinnamon, 1-2 tablespoons dark chocolate powder and 4-6oz full fat coconut milk (preferably the BPA free variety like this). I’ll often also add in a handful of fresh herbs (i.e. mint, cilantro, parsley, oregano, etc. – which are fantastic for cleansing the gut and liver too). After 30-60 seconds of pulverizing, you can stir in 1-2 heaping scoops grass-fed, cold-processed whey or vegan protein powder and for a bit of added texture (yes, I like to chew my smoothie for better nutrient absorption), 1 teaspoon sea salt (I highly recommend this Aztecan stuff), and a handful of unsweetened coconut flakes with a tablespoon or two of organic cacao nibs. And this recipe has never ripped me out of ketosis – despite it being a good 800-1000 calories if you make a big one! Here’s a video of me punishing the process of gracefully making a variation of that Ketogenic Kale Shake. Now that shake is certainly a good example of a high-fat, low-carb meal that keeps you in ketosis – and I discuss the benefits of ketosis in Chapter 14 of my book “Beyond Training. But perhaps more importantly, the shake is also extremely nutrient dense, a characteristic of low-carb meals that is often lost in an era of simply guzzling MCT Oil or consuming insane amounts of heavy cream and butter. Lack of nutrient density is one serious danger of ketosis, and my guest on today’s podcast is going to explain why that is, tell you the best way to achieve ketosis, and also give you the best nutrient dense foods that you must include on a ketogenic diet if you truly want to optimize your vitamins, minerals, nutrients, micronutrients and hormones. Her name is Dr. Terry Wahls. Dr. Wahls is a board certified internal medicine physician and clinical professor of medicine at the University of Iowa, where she teaches internal medicine residents in their primary care continuity of care clinics, sees patients in a traumatic brain injury clinic and conducts clinical trials. But she is also a patient with a chronic progressive neurological disorder – secondary progressive multiple sclerosis – which confined her to a tilt-recline wheelchair for four years. But during this time, Dr. Wahls did not give up. Instead she began reading the medical literature night after night, looking for her own answers about what drove disability in the setting of MS. She delved into the latest research on autoimmune disease and brain biology, and decided to get her vitamins, minerals, antioxidants, and essential fatty acids from the food she ate rather than pills and supplements. Dr. Wahls adopted a nutrient-rich Paleo diet, gradually refining and integrating it into a regimen of rich nourishing foods, neuromuscular stimulation, and the spin on a ketogenic diet that you’re going to discover in this podcast. And amazingly, she healed herself. First, she walked slowly, then steadily, and then she biked eighteen miles in a single day. In November 2011, Dr. Wahls shared her remarkable recovery in this “Minding Your Mitochondria” TEDx talk that immediately went viral. Now, in her new book “The Wahl’s Protocol“, Terry shares the exact details of the protocol that allowed her to reverse many of her symptoms, get back to her life, and embark on a new mission: to share the her protocol with others suffering from the ravages of multiple sclerosis and autoimmune and chronic diseases, but also people who simply want to maximize their performance, health and longevity. The science of why ketosis works for things like nervous system disorders, improving physical endurance, or healing the body. How Terry used a ketogenic diet during her healing journey. Why Terry need to modify the ketogenic diet, and what some of the potential dangers of a ketogenic diet actually are. A “day in the life” of nutrient dense eating for ketosis. The most important things to measure if you’re going to do ketosis. Green Pastures Fermented Cod Liver Oil or SuperEssentials (which has fish liver oil in it). Fasted, fat-burning, ketogenesis expert and nutritionist Barry Murray, who was interviewed in this podcast episode and is now a nutrition consultant and coach for Pacific Elite Fitness! You can hire Barry for a consult or for coaching or consulting by clicking here. 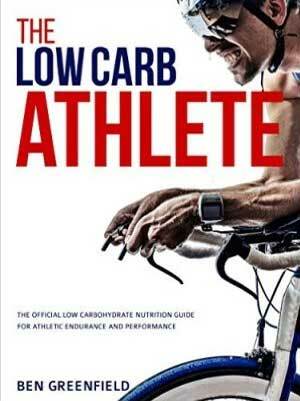 He specializes in fasting, endurance exercise, low-carb, high-fat protocols and ketosis. My Premium podcast episode: “Insider Pro Athlete Nutrition Consult with Ben Greenfield”. In this Premium episode, you get to sit in and hear me analyze the diet of a professional athlete I work with. Click here to go Premium for $9.99/year.